So, to start out, let’s use a straightforward definition to get on the same page. Click-through-rate is simply the percentage of clicks divided by the number of impressions. This works in many contexts, but is most common in online advertising. For instance, if 1000 people saw your ad, and 20 clicked through, that would be a click through rate of .02 (or more commonly, 2%). It’s not just Google Adwords that uses click-through-rate as a metric, though. 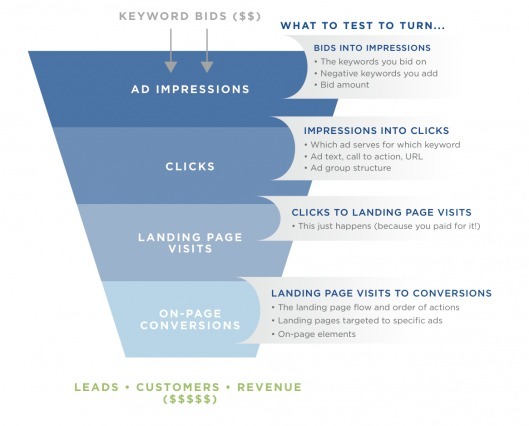 Any advertising platform will measure some form of click-through-rate. Email marketers measure click-through-rate (the proportion of people who click through on a hyperlink in the email content). It’s used anywhere and at any time that marketers can use data-driven decision making, and it’s especially useful if you’re paying for impressions and clicks (such as in PPC). Disregarding any specific reasons for caring about click-through-rate on platforms like Google Adwords or Facebook Ads, click-through-rate is a micro-conversion and an indicator that your message has 1) value and 2) relevance. Much of the internet is built on an economy of clicks, as well as predicated on an economy of attention. It’s really to get attention online for any reason (and it’s becoming increasingly difficult with time), so the mere fact that someone clicks through on your advertisement or your email is an indicator of interest, and therefore, it’s a metric you can measure and improve upon with optimization. Beyond that, click-through-rate is a metric specifically used by certain ad platforms to determine the quality of your advertisement. In addition, click-through-rate is an important metric to SEO, for many reasons. For one, it’s probably a ranking factor (more on that later). Two, the important thing about SEO isn’t how high you rank, but how much relevant traffic you actually bring to your website. Click-through-rate is quite literally the metric that defines that. 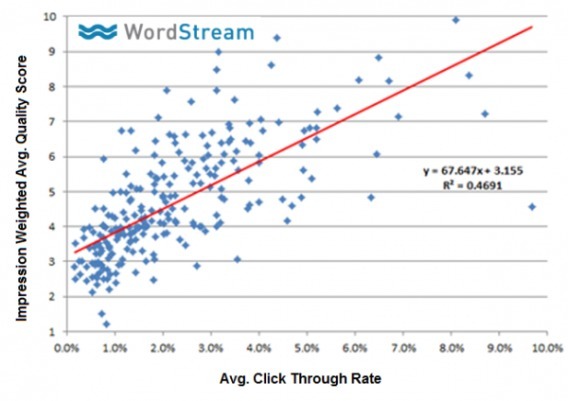 Finally, click-through-rate can be used as a micro-conversion in conversion optimization. Though we recommend always optimizing for the macro-conversion, micro-conversions can give you a richer and more complete picture of the user behavior changes you’re creating with your testing. Clicks are a step on the journey towards conversion. For example, say you’re testing a homepage hero image. You, of course, want your purchase conversion rate to increase, but you’d always probably measure the amount of people who click through on the homepage CTA as well. This gives you a better vision of how users are behaving. Click-through-rate, by definition, is super simple. But it has broad reaching use cases and implications in digital marketing, so it’s an important metric to measure and optimize. The rest of this guide will dive into very specific use cases and situations.